Big Picture Loans is a great choice for if you have poor credit and are looking for a fast, short-term loan. While it's a great option, there are also plenty of alternatives that are just as good. Big Picture Loans is an online direct lender that is unusual in that it’s run by the Lac Vieux Desert Band of Lake Superior Chippewa Indians and so all loans are governed by tribal law rather than state law. In practical terms, though, these are still short term personal loans as you know them. Big Picture Loans offers a reliable and trustworthy alternative to payday loans providing fast cash advances without hidden fees. Big Picture Loans has a fast and fully online application process that takes just a couple of minutes to complete and can get the funds through to your account in as little as one business day. Big Picture Loans is easily accessible since there is no minimum credit score and a minimum monthly income of only $700 is required. It’s important to note that information about the length of repayment terms, APRs, how much you can borrow are only shared once you’ve submitted a full application. Big Picture Loans doesn’t place any restrictions on the purpose of your loan. Wheres Big Picture Loans is a direct lender, Forward Lend acts as a matchmaker, connecting borrowers with a lender from its vast network of lending partners. It works with some of the most trusted lending partners in the market and offers a streamlined online application process for personal and small business loans that makes it quick and easy to get paired with a loan provider. Loans start from $1,000 to $40,000 with an APR range of 4.84% to 35.99%. Of course, the amount that you’re approved for will depend of several factors, including where you live and your credit score. Unlike Big Picture Loans,5K Funds is a loan marketplace that connects borrowers with one of a number of different lenders, rather than a direct lender itself. The loan terms give you the flexibility to choose between a short term of 2 months all the way to a full 72 months if you want to spread your payments out across a greater length of time. 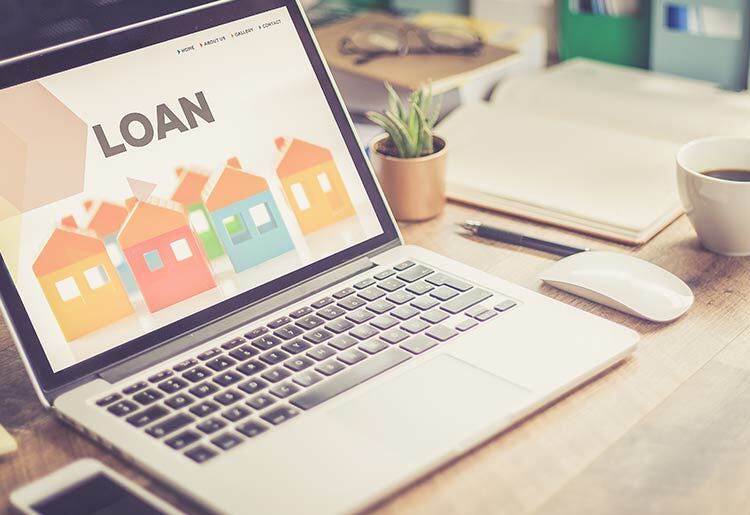 The application process is entirely online but because you’re first matched with a lender, the full loan approval process can take a little longer than Big Picture Loans. It’s still pretty quick, though. 5K Funds doesn’t charge any fees, but there could be fees charged by the direct lender. There’s no credit check before approval and no minimum credit score in order to qualify for a loan. LoansUnder36 also differs from Big Picture Loans by serving as a loan aggregator that matches borrowers with one of over 100 different reputable lenders. APRs are competitive, especially for borrowers with poor credit, since the highest rate is only 25.99%. Of course, LoansUnder36 can’t guarantee any rates or terms since those are set by the direct lender. LoansUnder36 also has a fast online application form like Big Picture Loans, but it doesn’t specify how long it takes to get the funding through so it could take longer than Big Picture Loans. Both lenders are similar in that there is no minimum credit score and your credit rating is not a barrier to success in getting a loan. LoansUnder36 also doesn’t have any particular minimum income level, although different lenders do have different requirements. Unlike Big Picture Loans, AmOne is another loan marketplace that connects borrowers with short term lenders. The application process is fast and entirely online, like Big Picture Loans, although it does usually take longer than 1 business day for funds to come through. Although AmOne doesn’t charge any fees, you will probably be charged by the lender itself. Like Big Picture Loans, AmOne doesn’t have any minimum credit score requirements and does provide loans for borrowers with poor credit ratings. AmOne does have longer loan terms which are convenient for borrowers who want to spread payments out across more time, although the minimum amount isn’t so low. Even Financial is also a pretty different loan platform to Big Picture Loans because it serves as a marketplace where borrowers can find loan providers rather than as a direct lender. There are similarities too, since Even Financial also doesn’t have any minimum credit score requirement to get a loan. However, most borrowers from Even Financial do have credit ratings of about 580, which is probably higher than borrowers from Big Picture Loans. Along with this come competitive APRs that begin at just 4.99%. Even Financial makes it easy for borrowers to repay their loans by allowing payments to be spread up to 7 years. Even Financial also doesn’t charge any fees for its services, but the direct lenders on its platform often do charge an origination fee of between 1% and 6% of the loan. Even Financial rivals Big Picture Loans for speed, with the online application form taking just a few seconds to complete and pre-approved loan offers getting to you within a few minutes. Big Picture Loans has an attractive lending platform for borrowers with poor credit ratings who don’t want to have to take out payday loans. The biggest advantages are the ease of qualifying for a loan and the speed of the loan approval process. Without clear information about APRs and repayment terms it’s hard to say for certain which other loan platforms have better terms. However, there are alternative lenders that also offer fast loan processing times and easy qualification for borrowers with poor credit.